This statistic presents the results of a survey among U.S. consumers. 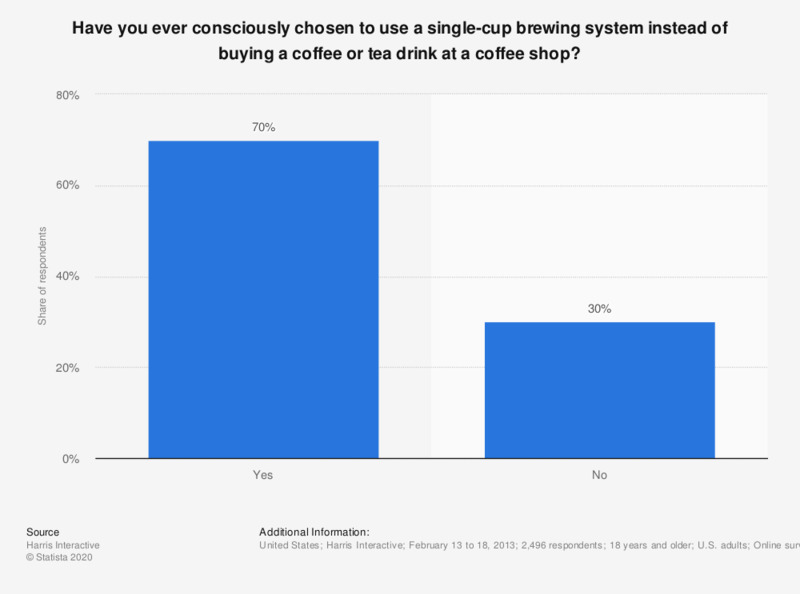 The survey was conducted online in February 2013, polling the respondents if they have ever chosen to use a single-cup beverage brewing system instead of purchasing a coffee out-of-home. Some 70 percent of U.S. consumers stated that they chose to brew a coffee or tea with a brewing system rather than buying one at a coffee shop.